This revolving eye cable sock twin weave is the mid-duty equivalent of the multi weave revolving eye sock we stock. It has a double weave lattice configuration and comes in multiple lengths, enabling you to accommodate a broad selection of cables and bundles within. 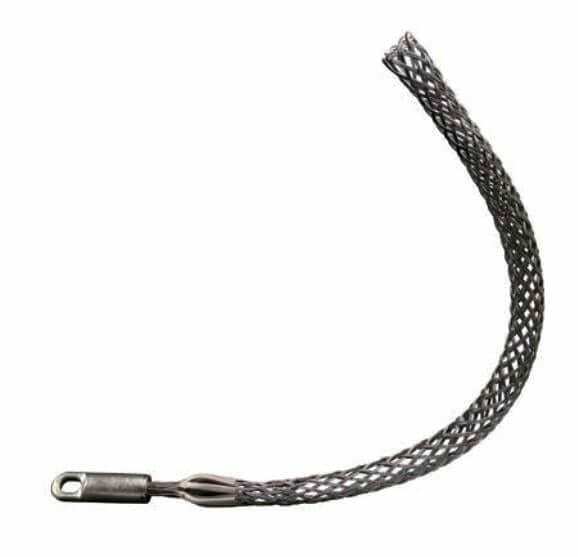 This double weave revolving eye wire rope sock delivers breaking strength ratings of between 2.5 and 19.5 tonnes. Lattice length varies from 280mm to 1676mm, while the eye’s ability to swivel makes it easier to attach to a shackle to help with the positioning. The galvanized steel used to manufacture these socks is cost-effective and low maintenance. Let the Rope Services Direct specialists handle your wire rope order and see how easy and affordable it can be. Get the ball rolling by emailing us, or by calling 01384 78004 to have a chat with an expert salesperson today. Revolving Eye Cable Sock Twin Weave Overall rating: 5 out of 5 based on 6 reviews.